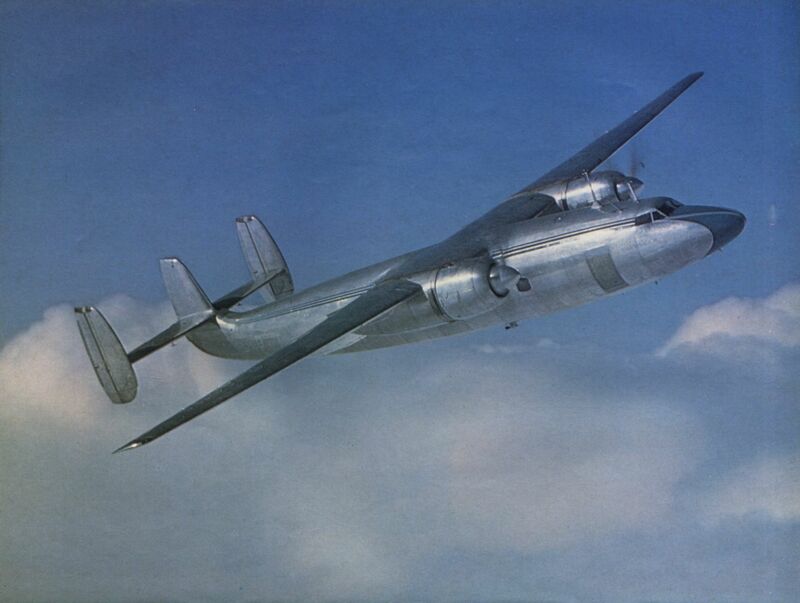 CHARLES E. BROWN’S colour photograph of the prototype Ambassador, G-AGUA, is reproduced by permission of the RAF Museum, Hendon. 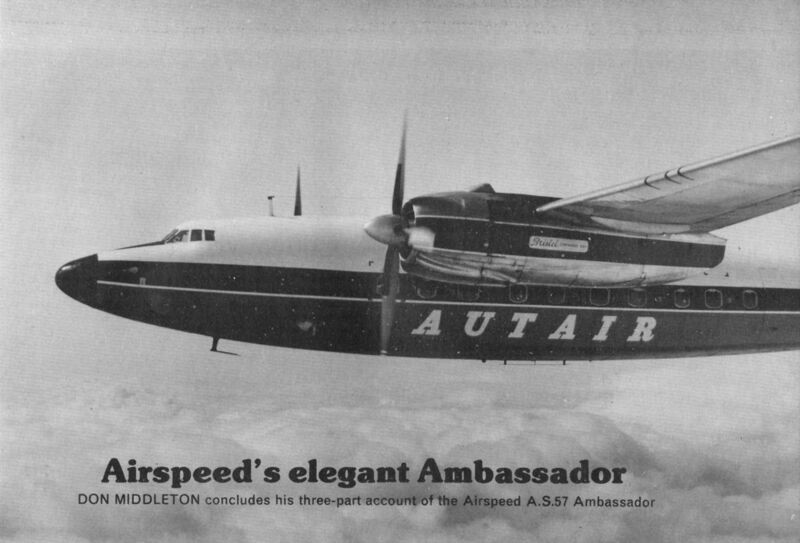 Ambassador G-ALZZ, subject of the picture, is seen in Autair colours having already served with BEA as Edmund Spenser and Globe Air of Switzerland. ’ZZ was scrapped at Luton in May 1969. Ambassador G-ALZO, named Sir Christo­pher Marlowe by BEA, passed to the Royal Jordanian Air Force in 1960 and became part of the Dan-Air fleet in 1963. 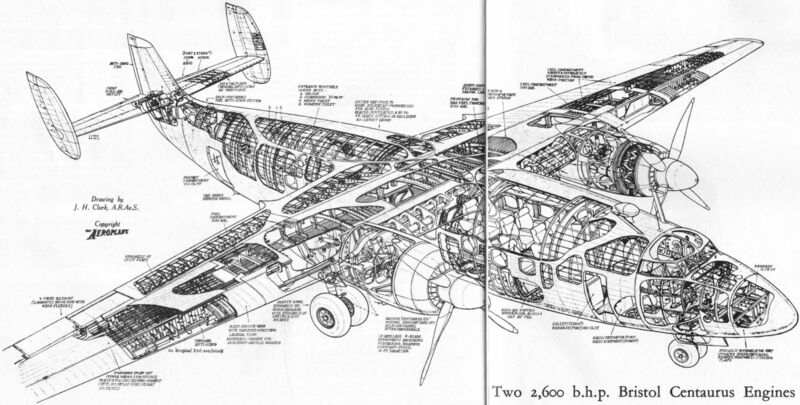 Ambassador G-ALZP seen during owner­ship by Decca Navigator. Named Sir Richard Greville by BEA, ’ZP flew with the Jordanian Air Force, was registered in Morocco as CN-MAK and after service with Decca was scrapped during 1973, at West Mailing, Kent. Another picture of Autair’s G-ALZZ on lease to Skyways Coach Air. 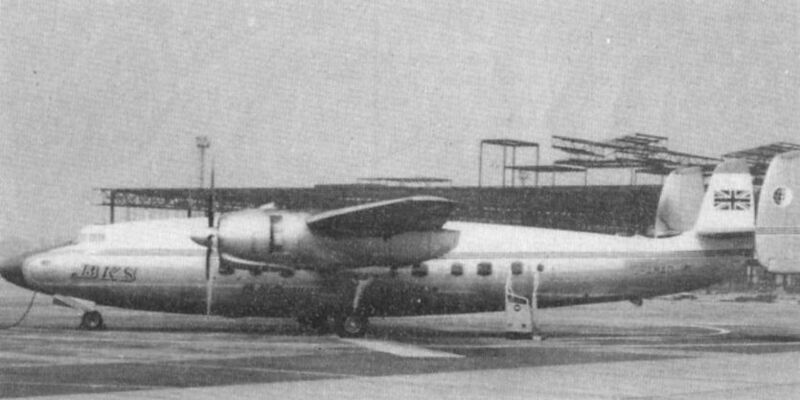 Shell Aviation Ltd purchased G-AMAA from BEA in January 1960 and the aircraft ended its days at Lasham, as spares for Dan-Air’s Ambassador fleet. G-AMAD was sold to BKS after five years of service with BEA. 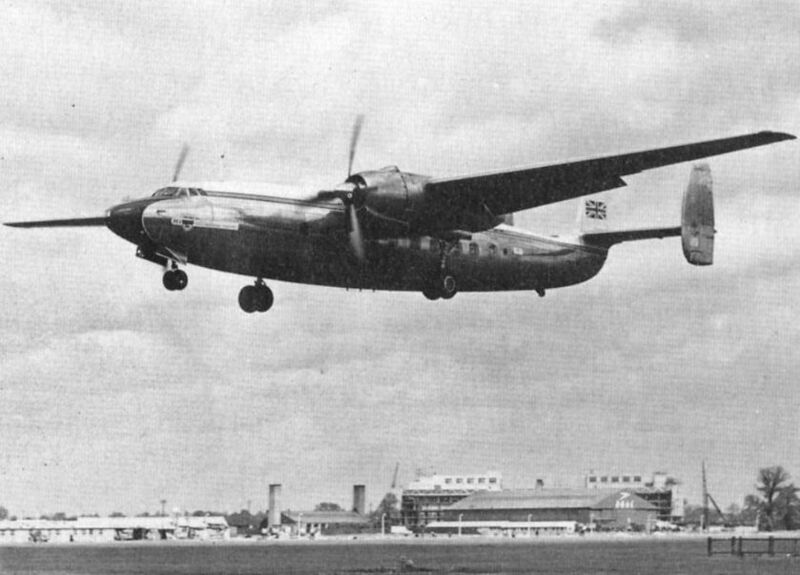 It was this aircraft that crashed at Heathrow on July 3, 1968. After freight door conversion at Southend, G-ALZR flew with BKS for five years before being sold to Dan-Air. Dan-Air's G-ALZO made the last Ambassador passenger flight on September 26, 1971, when the late Capt Tom Phethean flew her from Jersey to Gatwick. The editor was one of the lucky passengers.